PUZZLE #1. The 3 rotation symmetries of an equilateral triangle. 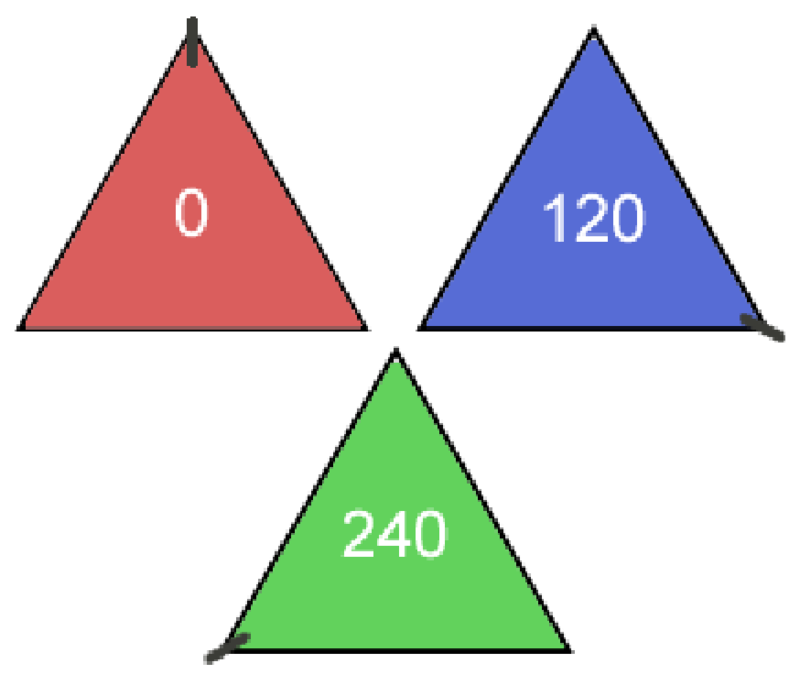 Click on the images below the canvas to select the first 3 triangles, rotated 0 (red), 120 (blue) and 240 (green) degrees, as shown at left. When you click on Run Code, the triangles move, collide, apply their rotations to one another, and change their colours change based on the resulting rotations. Can you predict what will happen? Click on Run Code to test your prediction. More investigations: (1) Notice the splatters left behind as a result of collisions. Run Code a few times and observe the frequencies of the colours. Do you notice any patterns? Can you explain? 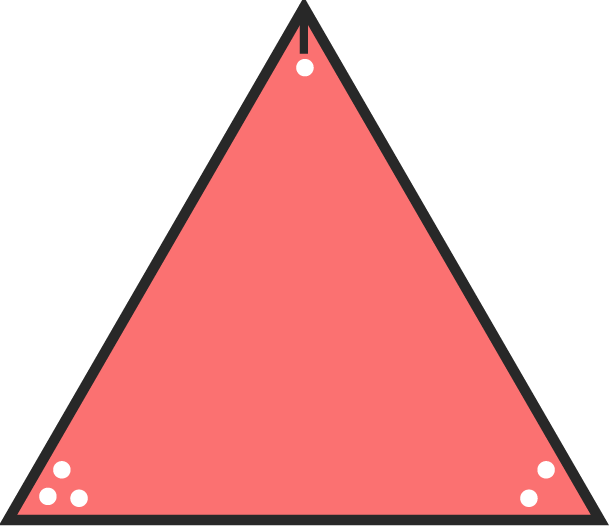 (2) Use a "step until ..." code block to stop motion when all triangles have the same rotation symmetry. Are some rotation symmetries more likely than others? Why? (3) Change the parameters of the code blocks and notice the effect. PUZZLE #2: The 3 reflection symmetries of an equilateral triangle. Click on the images below the canvas to select the last 3 triangles, reflected as shown at right, with respective colours of orange, cyan, purple and pink. 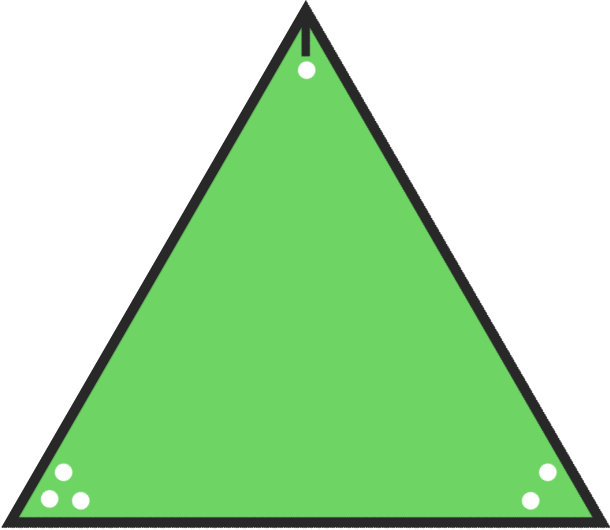 When you click on Run Code, the triangles move, collide, apply their reflections to one another, and their colours change based on the resulting transformations. Can you predict what will happen? Click on Run Code to test your prediction. More investigations: (1) Notice the splatters left behind as a result of collisions. Run Code a few times and observe the frequencies of the colours. Do you notice any patterns? Can you explain? 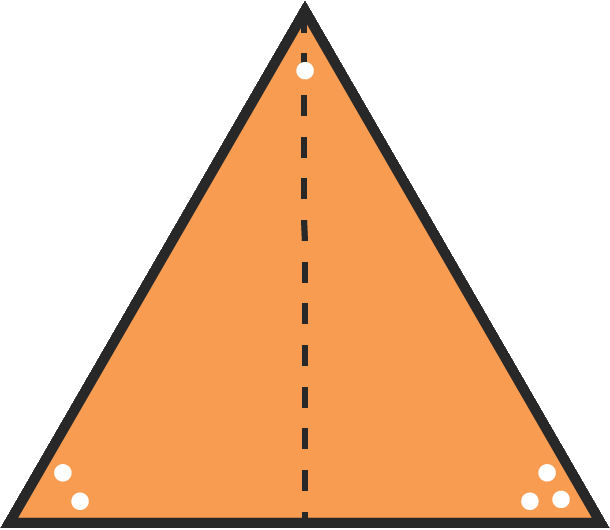 (2) Use a "step until ..." code block to stop motion when all triangles have the same reflection or rotation symmetry. Are some symmetries more likely than others? Why? (3) Change the parameters of the code blocks and notice the effect. PUZZLE #3: The 6 symmetries of an equilateral triangle. 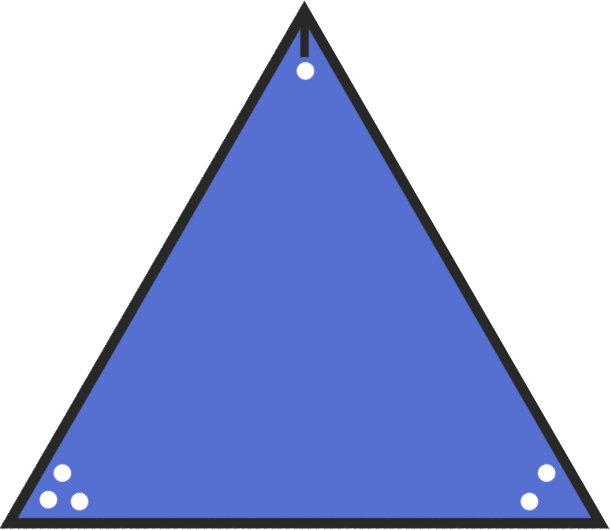 Click to select all 6 triangles, representing the 6 symmetries of the triangle: the 3 rotation symmetries shown above-left and the 3 reflection symmetries shown above-right. When you click on Run Code, the triangles move, collide, apply their transformations to one another, and their colours change based on the resulting transformations. Can you predict what will happen? Click on Run Code to test your prediction. MORE PUZZLES: Create your own! 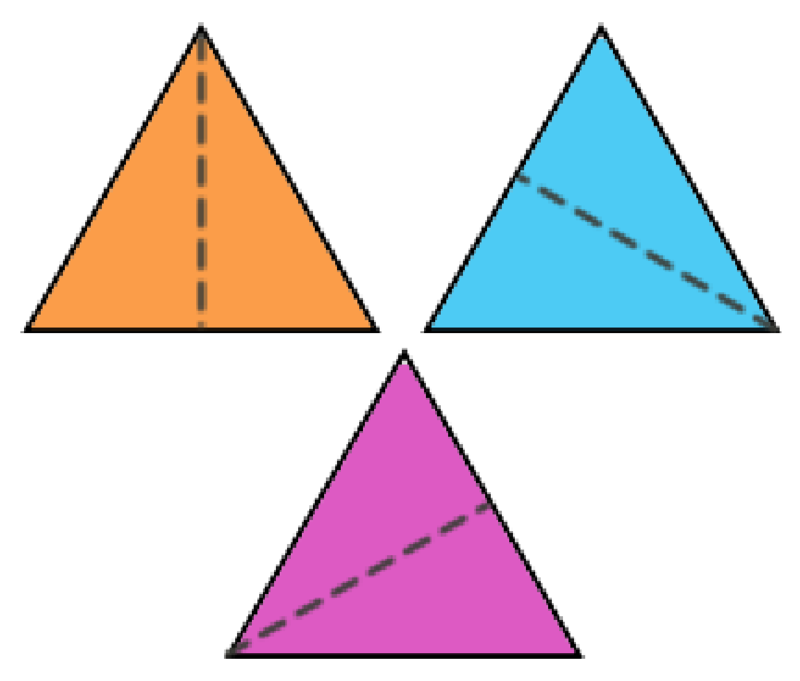 What's an interesting combination of symmetries of the equilateral triangle that you might try? What result would you expect? Why? Credits: By George Gadanidis & Chris Yiu. Development, research and outreach support from ORF-RE, SSHRC & MKN.